Genesis 44:18 presents Judah as the supplicant to his little brother, Joseph. He pleads with Joseph for the life of the youngest brother Benjamin: Judah went up to him and said to Joseph, “Oh, my lord, please let your servant speak a word in my lord’s ears, and let not your anger burn against your servant, for you are like Pharaoh himself.” These are words of a desperate man! Henry Thoreau says, “The mass of men lead lives of quiet desperation.” I don’t see anything “quiet” in Judah’s desperation as he pleads with the Egyptian official for the life of his little brother, Benjamin, who had been found guilty of stealing. When your sin has been found out and you face the ultimate consequences, you will become desperate. There is nothing you can do, but beg for help. That’s exactly where God wants you. One writer said, “Human beings do not readily admit desperation. When they do the kingdom of heaven draws near.” God wants you there so He can save you. Peter, sinking in the waves, cries out in desperation, “Lord, save me!” He did! And He will. You will learn, like Judah, that though you deserve justice, you will receive mercy. 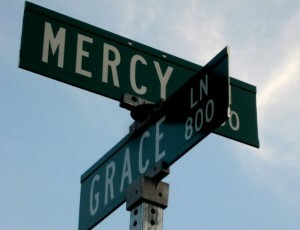 Though betrayed by His own, and mocked and cursed and hung on a cross where no one showed Him mercy, He shows us mercy. In the Magnificat (Luke 1:50), Mary says, “And his mercy is for those who fear him from generation to generation.” When the angels announced to the shepherds that he had “good news of great joy” he said it would be for “all people.” That’s you and me!